Less-than-truckload shipments are an excellent option for shippers today in the highly competitive world of shipping. Perhaps one of the most important and key considerations to take into account with regard to less-than-truckload shipping is that of weight. In just about every case, less-than-truckload shipments will involve weight under 15,000 pounds. In addition, this type of shipping option is perfect for shipments that are between one and six pallets of product. That said there are cases where less-than-truckload deliveries involve a greater amount of weight. As a note, paying for the expense involved with hiring an entire truck that will go mostly empty is not a cost-effective way of shipping. That is why LTL shipments make good sense in today’s cost-conscious world. This is simply due to the fact that the cost of shipping is less expensive when smaller items or cargo are consolidated with other freight on a truck. Less-than-truckload, in most cases is shipped via common carriers. This makes this type of shipment more affordable. Those shipping via LTL should also keep in mind that in some cases a shipment could require transfer in route. This helps to keep cost down but can slightly increase the chances that there may be some damage en-route. Choosing the right LTL-company is a great way to reduce the chances of damage when shipping. With so much to offer it is clear to see why less-than-truckload is a great option in today’s world. In cases where LTL shipping is not the preferred option, full truckload shipments are always available. This type of shipment is best for shipments that involve a weigh of over 10,000 to 15,000 pounds. It may also include shipments with over 10 pallets of shippable products. Work with your trusted shipping company to make sure that you make the best possible choices for your company when shipping locally or across the country. 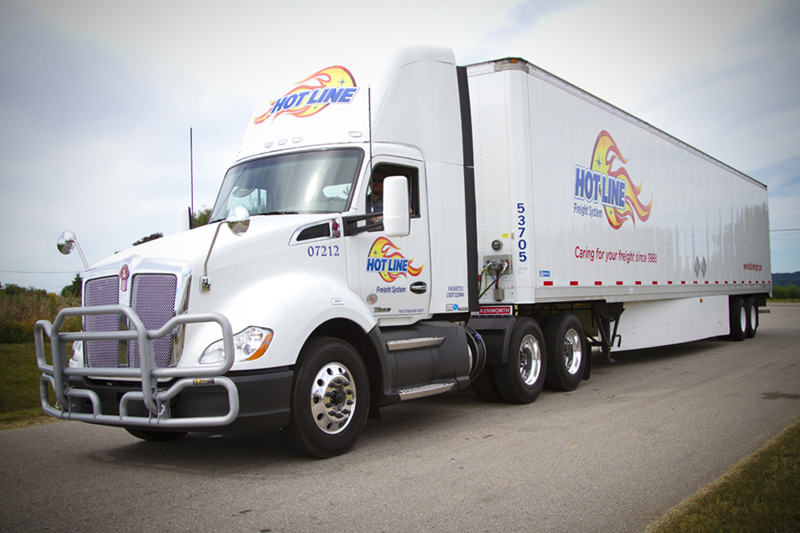 Contact Hotline Freight today to learn more about full truckload and less-than-full truckload shipments with a proven track record!